Green manure provides a source of composting material and soil improver as well as keeping weeds down in ground that would otherwise be empty. Once dug in they break down releasing nutrients into the soil. Tall (1m) nitrogen fixing plant for over-wintering. Sow September-November. For most soil types, including clay. Sow August-November for over-wintering. Turn in April-May. Develops a high level of green matter and fibre. Quick growing to 2-3ft (60-90cm). Sow March-September and turn in before flowering. 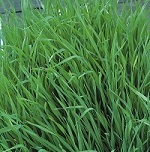 Dense, tall (up to 3ft 3" (1m) and quick maturing for sowing March-September. 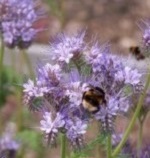 Should be turned in before flowering but if left the flowers are a lovely blue and attract bees.